(TGDaily) The Defense Advanced Research Projects Agency (DARPA) and Raytheon have teamed up to develop an insider threat research program. Dubbed ADAMS – or the Anomaly Detection at Multiple Scales – the program will ultimately be capable of identifying and analyzing anomalies within large data sets. “In order to build algorithms to better detect anomalous behaviors, the ADAMS project will use data collected by Raytheon’s endpoint audit and investigation [platform] known asSureView,” explained Raytheon VP Steve Hawkins. According to Hawkins, unlike previous insider threat research programs that were limited in size and scope, ADAMS will have access to massive data sets from large computer end-user populations observed in live, operational environments. Indeed, DARPA has stated that it wants the technology developed by ADAMS researchers to bolster the capabilities of existing sensor suites currently employed by cyber security analysts and operators. “This project will provide unprecedented understanding of the insider threat at a time when the U.S. government is mandating that agencies implement automated insider threat detection capabilities to protect their classified information systems,” said Hawkins. The Pentagon’s current focus on detecting insider threats is hardly shocking, as the DoD attempts to formulate (and enforce) a coherent cyber policy to prevent embarrassing data spills – such as the one allegedly perpetrated by Bradley Manning in 2010 which resulted in approximately three million classified documents hitting the ‘Net courtesy of WikiLeaks. Obviously, the DoD is also keen on preventing the deployment and spread of malware on both classified and more “open” networks. (MiamiHerald) On the 50th anniversary of the infamous Bay of Pigs invasion, the Central Intelligence Agency has released more of it long-held secret papers on its failed 1961 Cuba operation to overthrow Fidel Castro. The secret documents were released in Washington, D.C., pursuant to a Freedom of Information Act filed by Peter Kornbluh, an activist who has long sough to unmask U.S. secret operations in Latin America. In past years, Kornbluh has won the release of other Bay of Pigs records. He announced the release of the latest batch on Monday. Kornbluh said the CIA posted the four volumes of documents of its “Official History of the Bay of Pigs,” when 1,500 Cuban exiles invaded their homeland from Guatemala and Nicaragua between April 17-19, 1961. Many were captured and sent to prison in Cuba and 104 died in the effort. Hundreds of Bay of Pigs veterans live in South Florida. The newly-released archives include Volume 2: “Participation in the Conduct of Foreign Policy” ( Part 1 | Part 2), which contains detailed information on the CIA’s negotiations with Guatemala, Nicaragua, Panama and Great Britain on support for the invasion. “The CIA has finally seen the wisdom of letting the public scrutinize this major debacle in the covert history of U.S. foreign policy,” said Kornbluh, who directs the Cuba Documentation Project, in a news release. “That volume is the CIA’s rebuttal to the stinging CIA’s Inspector General’s report, done in the immediate aftermath of the invasion, which held CIA officials accountable for a wide variety of mistakes, miscalculations and deceptions that characterized the failed invasion,” Kornbluh said in his release. 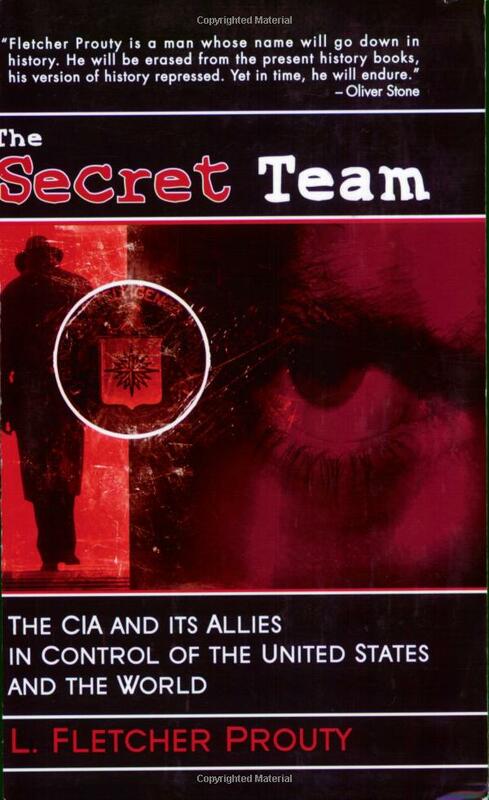 The National Security Archive obtained the declassification of the secret Inspector General’s report in 1998. Volume 3 of the Official History was previously declassified under the Kennedy Assassination Record Act. In April, The Miami Herald/ElNuevoHerald published a three-part series on the invasion, along with database listing the names of all the men who took part in the April 1961 effort. (ITPROPORTAL) The Pentagon has plans to tap social networking websites to secure information, to detect and track the spread of ideas, enabling them to counter any upcoming threats. According to the Washington Post, The Defense Advanced Research Projects Agency (DARPA), part of the Pentagon, has announced that the authorities are looking for people proficient in social networking that could help them research and build strategic programs accordingly. The DARPA has revealed that the organisation is willing to spend $42 million on the research and development program, as the US defense agency is looking to reach a new level with its intelligence division by keeping a track on the millions using social media. DARPA said that the plan to keep a check on social media websites by the Pentagon will help the defense authorities deal with dangerous events in the future more strategically. (VigilantCitizen) The FBI launched this week a massive program aimed to record all citizen’s biometrics data. This will eventually enable instant surveillance and recognition of any individual walking on the street or entering a building. The 1 Billion $ deal was awarded to Lockheed Martin – world’s largest defence company, who is part of elite groups such as the CFR (Council of Foreign Relations) and the Trilateral Commission. In short, Lockheed Martin is the official defence company of the world’s shadow government. – William D. Hartung, Is Lockheed Martin Shadowing You? Furthermore, the CEO of Lockheed Martin, Robert J. Stevens is Lead Director of the Monsanto Company – the world’s largest agricultural biotechnology corporation – which is a member of the Bilderberg group. Here’s an article from The Guardian regarding the FBI biometrics project and its threat on privacy. The FBI recently announced that its Next Generation Identification System (NGIS) has “reached its initial operating capacity”. 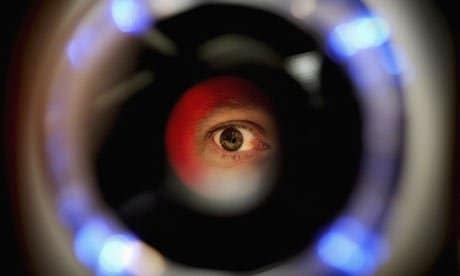 This vast new biometrics project, for which Lockheed Martin won a $1bn contract in 2008, encompasses not only fingerprints but also, possibly, such biometrics as iris scans, face recognition, bodily scars, marks and tattoos. Such a system raises a number of concerns from a civil liberties perspective. Many types of biometrics are of particular concern because they allow individuals to be tracked secretly and at a distance. For instance, facial recognition may allow a person to be tracked by various CCTV cameras across a city. Worse, in the future, this may be automated and done by computers. The FBI is rushing ahead with this system in a larger context that is very troubling. Since 9/11, we’ve repeatedly seen the government throw together new identity and tracking systems without building in the necessary protections to make sure innocent people aren’t caught up in them. A good example is aviation watchlists. Countless travelers have found themselves trapped in a Kafkaesque nightmare – improperly listed as suspected terrorists, hassled, arrested or worse, and with no way to clear their names in the eyes of the government’s secretive security bureaucracies. The problem is not just errors and mistaken identification, or the lack of due process or rigorous procedures for keeping the lists accurate, but also the possibility that government bureaucrats have used a “when in doubt, thrown a name on the list” approach. We don’t want to see the NGIS operate that way. Unfortunately, the FBI’s record does not inspire confidence. In 2003, the bureau exempted its main criminal database, the National Crime Information Center (NCIC), from a requirement under the Privacy Act that agencies maintain records with “such accuracy, relevance, timeliness and completeness as is reasonably necessary to assure fairness to the individual”. Some people have experienced the reality of this, such as a Maryland woman named Amy Studnitz who was fired from her job after an NCIC background check erroneously reported that she had a criminal record (even after the error was discovered, she was not rehired). The experience of Oregon attorney Brandon Mayfield is also a cautionary tale. Considered a suspect in the 2004 bombing of a Madrid train due to a faulty fingerprint match, the FBI spied on Mayfield without a warrant, broke into his home several times and arrested him under the “material witness” statute. The FBI also investigated 19 other individuals whose fingerprints, like Mayfield’s, were deemed similar to those found on evidence in Madrid. Finally, the FBI’s giant biometric project is taking place in a context where the United States – almost alone in the industrialised world – has no strong, overarching privacy laws, and no robust, independent institutions to enforce such laws. In another country where such institutions existed to protect people from error and abuse, this kind of programme might be cause for less concern. But rather than building such institutions, the US government has instead been granting sweeping new powers to our security agencies, and dismantling the checks and balances that are needed to ensure those powers are not misused. Most technologies have good and bad uses, and limited uses of biometrics can be fine. But these databases need strict oversight, and now is the time to make sure the proper safeguards are in place. As the use of biometrics expands and our law enforcement moves into the future, so too should our privacy rights.